Measurements in 2D or 3D spaces are ubiquitous among many fields of science and engineering. Often, data samples are gathered via autonomous robots or drones. The path through the measurement space and the location of the samples is traditionally determined upfront using a one-shot design of experiments. However, in certain cases, a sequential approach is preferred. For example, when dealing with a limited sampling budget or when a quick low-resolution overview is desired followed by a steady uniform increase in sampling density, instead of a slow high-resolution one-shot sampling. State-of-the-art sequential design of experiment methods are point-based and are often used to set up experiments both in virtual (simulation) as well as real-world (measurement) environments. In contrast to virtual experimentation, physical measurements require movement of a sensor probe through the measurement space. In these cases, the algorithm not only needs to optimize the sample locations and order but also the path to be traversed by sampling points along measurement lines. In this work, a sequential line-based sampling method is proposed which aims to gradually increase the sampling density across the entire measurement space while minimizing the overall path length. 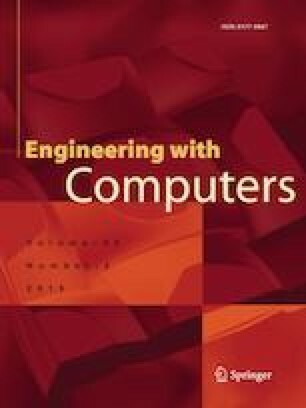 The algorithm is illustrated on a 2D and 3D unit space as well as a complex 3D space and the effectiveness is validated on an engineering measurement use-case. A computer code implementation of the algorithm is provided as an open-source toolbox.